CCL has been bringing inspiring Christian speakers and musicians to the country clubs of the Coachella Valley for 32 years. This year will be exceptional! Make your reservations right away for the Thursday, March 1, 2018, CCL luncheon at Thunderbird Country Club, Rancho Mirage, CA Reservations are required. We have arranged for Daniel Rodriguez, “The Singing Police- man,” from 9/11, to be our guest celebrity speaker. We were able to secure Daniel in the midst of his very busy schedule. He will sing and share his experiences of that fateful day. His testimony of how God has directed his life since his heroic participation in the Twin Towers rescues will inspire you. Consider bringing your family and men friends for this incredible day of this 32nd year of Christian Celebrity Luncheons. 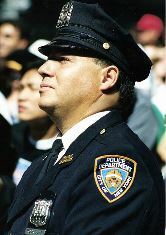 September 11, 2001, Officer Rodriguez was driving to work when the first plane hit the World Trade Center. Arriving at the site as a first-responder, he witnessed the destruction of both towers, nearly losing his own life. As it did for all Americans, history intervened for Daniel Rodriguez on Sept. 11, 2001. Like his colleagues, the seven-year veteran of the NYPD stepped up in the aftermath of the terrorist attacks on America, going above and beyond the call of duty to help restore a sense of stability and community. But Rodriguez had something unique to offer in this difficult time, that of the magical effect of his remarkable tenor voice. In a matter of days, his stirring a cappella performance of "God Bless America" and the National Anthem seemed to be something far greater than graceful patriotic gestures. Ringing heartfelt and beautiful, these songs became transcendent statements of solidarity, determination and hope that galvanized his fellow New Yorkers and fellow Americans. Daniel Rodriguez became "America's Beloved Tenor. Rodriguez has stirred television audiences with appearances on The Today Show, Live with Regis and Kelly, Good Morning America, Larry King Live, Late Show With David Letterman, The World Series, and ABC TV's New Year's Eve with Peter Jennings as well as performances on CNN and at the Macy's Thanksgiving Day Parade and the Christmas Tree lighting Ceremony at Rockefeller Center. Rodriguez also won the admiration of operatic superstar Placido Domingo who invited Rodriguez to study with him at the Washington Opera Company. Every seven seconds in America, someone is turning fifty and facing the second half of life. Statistics show that at least half of those in this demographic will experience this phase of life as a single. After my husband died, I found myself in exactly that situation. I was well over 50, single again, but not yet ready to be called a “Senior Citizen.” In fact, there’s a phrase that I prefer to call people– “Savvy Singles” – those who are mature, living without a partner, but still very much young at heart. One of the goals that I have as an “over 50 person” is to present you with practical insights that will give you the nudge needed to live a successfully fulfilling second-half of life. I do this through my speaking, books, magazine articles and radio ministry. 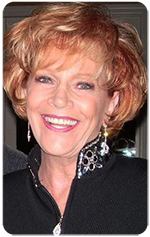 For 27 years I have hosted a Christian luncheon in the Palm Springs area of California, called Christian Celebrity Luncheons, to bring the message of Jesus to people in that area who may be vacationing there or live there year round. I invite Christian Celebrities like Gavin MacLeod, the Love Boat TV Captain, to share their story of how God has helped them in their careers. Others like Cal Thomas, columnist and Fox News analyst, talk about the pressures of living in D.C. and still maintaining their relationship with God. Insights we all struggle with, wherever we live. And for singles in the second half of life, my most recent book is titled, “Savvy Singles Relationship Secrets.” In it, my goal was to present an honest, no-nonsense guide for victorious living as an older single, with ways to equip you to become “savvy singles” – intelligent, unmarried people in their mid-life and beyond, who experience life in all of its fullness. The “Ask Samantha” column is based on a column I write for the national, “Significant Living” magazine. There you will find my column as well as a “Money IQ” column written by my husband, Randy Swanson. This magazine can be found online also. 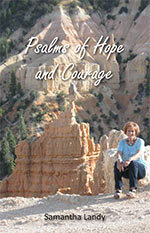 You will also find a page called, “Psalms of Hope.” That page is dedicated to my international radio program. Through the medium of radio, it is my desire to encourage and strengthen our walk with God writing what I call, “modern-day psalms” and playing God-honoring music. On this page you can click on one of the programs and it will continue playing through all of the programs, giving you hours of encouragement and wonderful music. In addition to my weekly blog, I hope you will enjoy this web site of my spiritual travelogue of sojourns over hills and dales filled with faith and great expectations. Samantha’s deep desire has been to create a 365 daily devotional that is very personal with real life stories. Sharing the joys and pain we all experience, she has combined thought-provoking scriptures to restore, re-energize and renew you. Sometimes the devotional is intended to challenge, or stimulate your thinking and on some pages, she hope you will laugh out-loud.